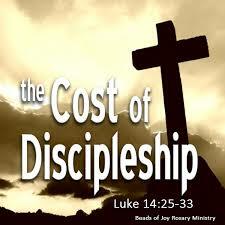 Salvation is free, but being a disciple will cost you everything. A disciple is one who adheres to the radical teaches of Christ! This Sunday we will continue to discover the risks and rewards of being a disciple of Christ. Join us as we serve communion to commemorate that Jesus gave His all for us, so that we can forsake all for Him! ← Are you a Believer or a Disciple?